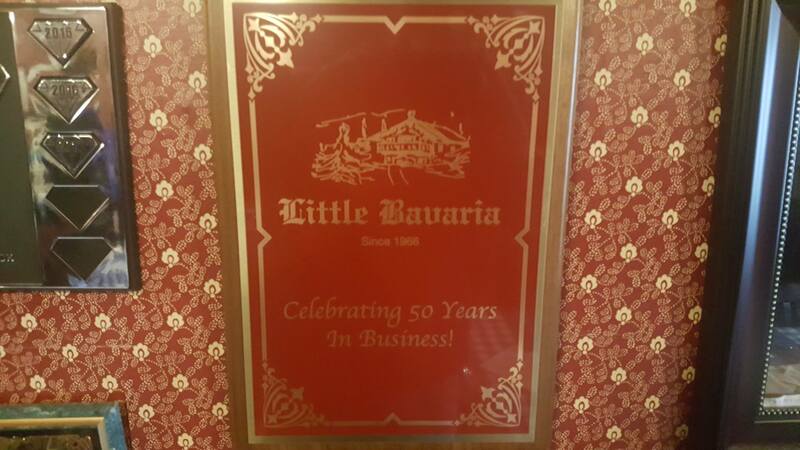 Little Bavaria Restaurant has specialized in German food and hospitality since 1966. 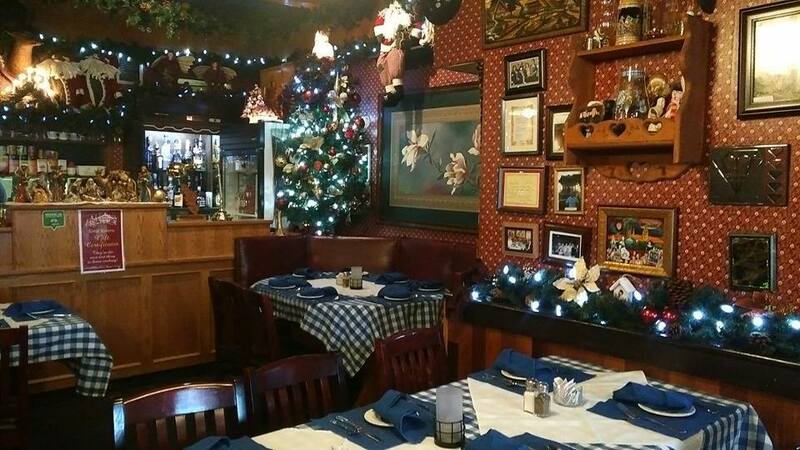 Featuring the freshest of ingredients, our delicious cuisine is served in an intimate and cozy atmosphere by our friendly staff. Remember 1966? Any of you recall a small restaurant being built on 4th Avenue? A German place featuring Schnitzels and the like? Do you remember Eddie Schoenborn or his wife Gina? Their legacy still stands today nearly 51 years later. 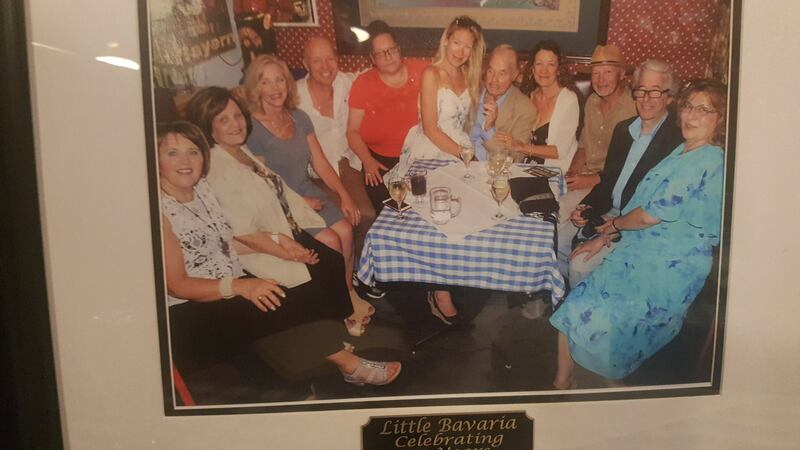 Little Bavaria is world renowned and while it's been around for more than one half century it has only seen three owners. Just three and today we feature a Port Alberni icon in her own being - Kathy Krznaric. 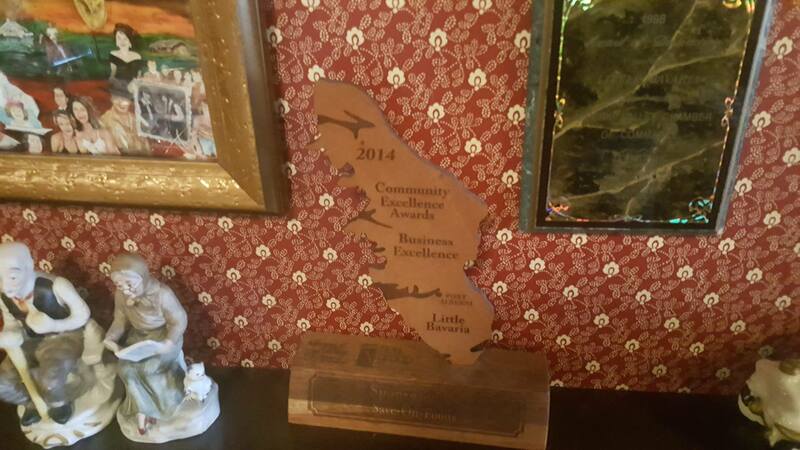 Kathy is a wonderful woman who is loved by her staff and her customers local and far far away. She is always happy, always on top of the world that's why this business continues to shine in Port Alberni. She once told me that people from California call her restaurant to make a reservation and then they book their holiday's around that reservation. How many restaurants can say that? Kathy can. She has owned the business for nearly 24 years so virtually half of its very existence. Purchased in August of 1993 with many of the staff at that time still working for her today. Her Chef Anna has been there since....well, before the first Mini-Vans were ever offered for sale and they've been around since 1984. 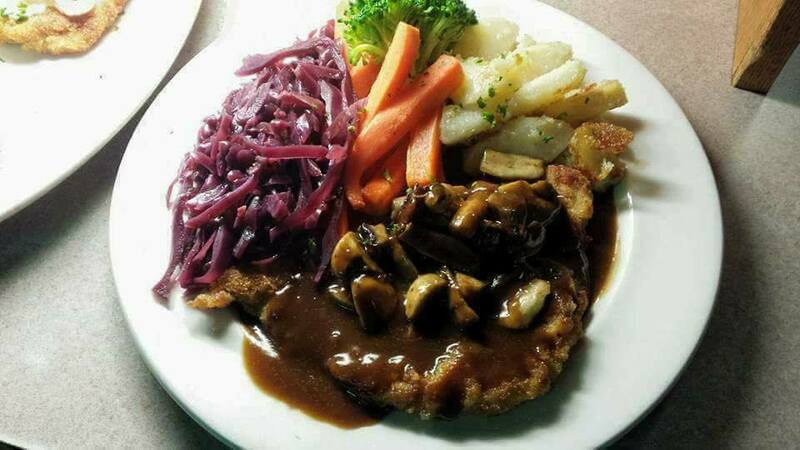 If by some reason you haven't been to Little Bavaria it is safe to say that you haven't been to Port Alberni. So, come visit (Little Bavaria) again and enjoy what's been enjoyed for over 5 decades. 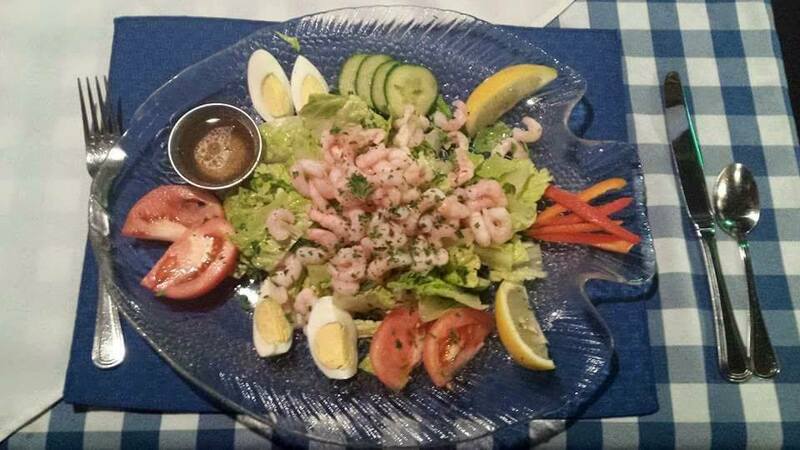 Great food, great service, beautiful environment. ps: In the picture included here of many people with Kathy on the left is all three owners. 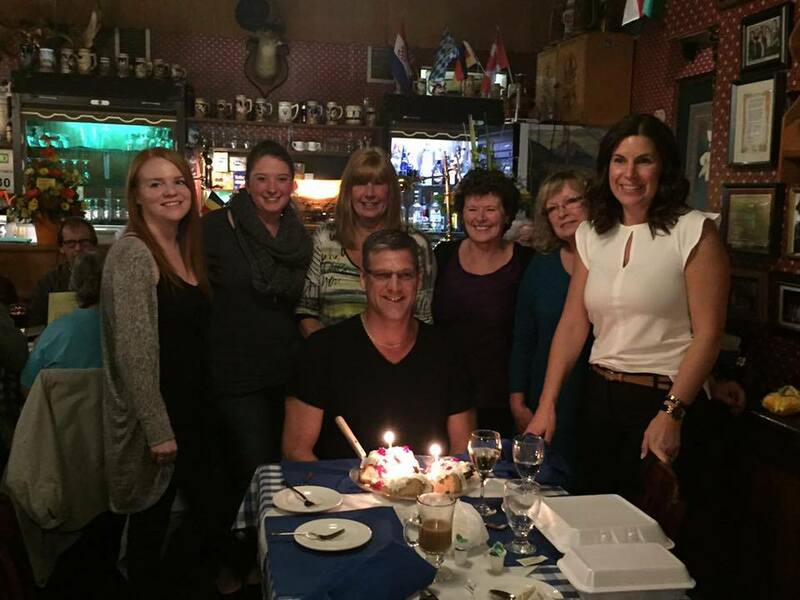 This was part of the 50th Anniversary party that Kathy and her team threw last summer where more than 550 guests were treated to a meal as part of the celebrations.